Looking for one heck of a backlink checker that would be (A) fast, (B) reliable and (C) affordable? Try SEO SpyGlass: the living proof that the three can be found in ONE tool! Transform your SEO campaign with SEO SpyGlass and quickly beat your most-feared competitors in the SERPs! Besides, SEO SpyGlass "speaks" 8 tongues and runs on Windows, Linux and Mac OS X. So, what are you waiting for? Turbo-charge your SEO campaign with the industry's most efficient backlinks checker - try SEO SpyGlass for Free today! 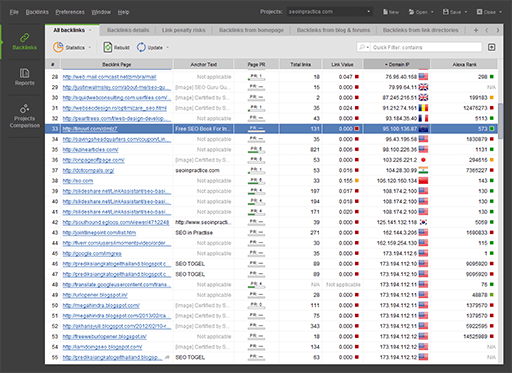 - Several minor usability enhancements have been implemented to further improve SEO SpyGlass performance.